Well it does look a lot better than Richland and price might be a big driver in making these interesting (I see no prices? 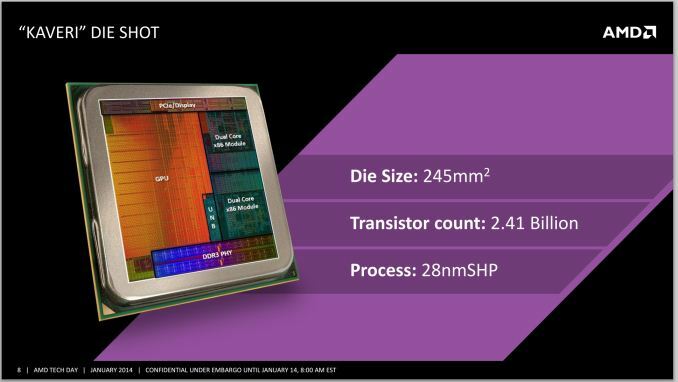 ), but 19w Kaveri versus 15w Haswell ULT...the 15w Haswell ULT, depending on the turbo performance of the 19w Kaveri part looks to run roughly as fast to a very sizeable 20-30% lead in CPU performance and with the GPU cut down to roughly half performance between core and clock reduction...the Haswell ULT is likely to be on par graphically +/-10%. In a lower power consumption package...and if the Kaveri has turboing issues or the GPU is thermally constrained in this package it could be a much more significant lead. I guess I missed something with the Intel chips in regard to the TDP. My experience is vastly different. Most Intel chips, both desktop and mobile, don't seem to come close to hitting max TDP under full CPU load. Especially in the desktop space I see something like my i5-3570 with a TDP of 77w is hitting around a 35w delta between idle and full load based on wall plug data, considering losses from the power supply and assuming a fairly low (CPU) idle number, thats only in the area of 30-40w total power consumption. That isn't simply under load, the processor is clocked up to 4.2GHz single core and 4GHz all 4 cores turbo. That isn't a max burn situation where every single itty bitty capacitor and transistor is loaded like Intel does in their TDP tests, but that is under 100% sustained CPU load across all 4 cores. From what I have seen with Ivy Bridge testing (which ain't Haswell I'll admit) a fully loaded i5-3317u seems to only use in the area of 8-10w with both cores fully loaded max turbos 100% CPU load. Its the GPU that uses a huge whack of power, >12w under max load and turbos. I'd assume Haswell is pretty close there, at least with the CPU, since the turbo core speed is the same, same lithography, very similar architecture. So I doubt a ULT Haswell is using more than 10w under max CPU load and turbos. Its the GPU that is going to be the power hog. A) That i7 is a dual core with hyperthreading (4 threads). Kaveri is a dual module with modular multithreading (4 threads). 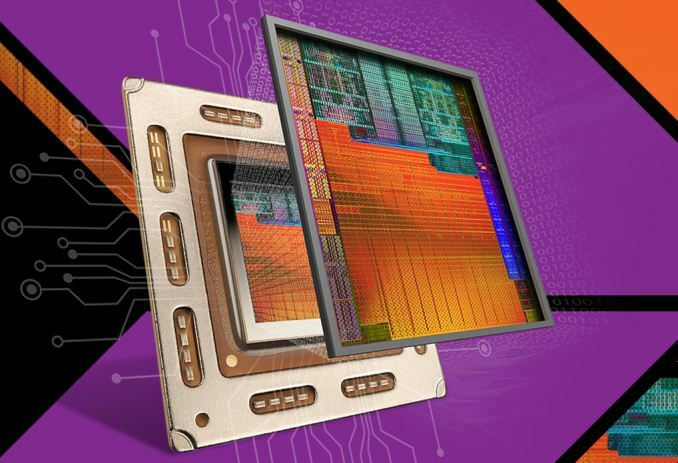 An AMD module is what you compare to a single Intel Core with hyperthreading. That is the fair comparison. It wouldn't be fair to compare a dual core vs a quad core now would it?